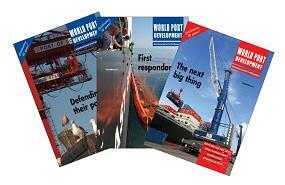 Subscribe TODAY to receive 10 issues of World Port Development a year. 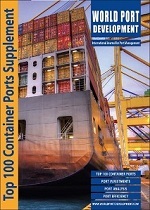 Your subscription will also include our popular range of Special Supplements including Container Crane & Components, Top 100 Container Ports and Latin America Ports. To subscribe NOW simply complete the form below. You can decide your subscription level by using our membership plan detailed below. Please note: When completing the form please use your company email address - do not use any hotmail, gmail, yahoo, etc. By using one of these extensions in the registering process it will automatically decline your application. If you have created an account already, please login using the panel on the left first. Please enter the *required information below. Anti-Spam: please fill in the following to submit the form. After submitting the form we will send you an invoice and the various payment options.